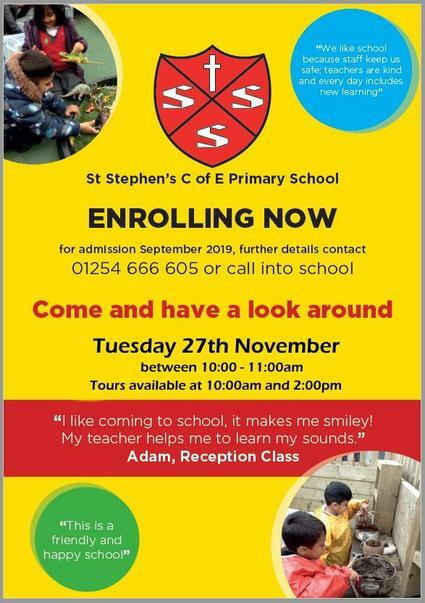 St Stephen's will be hosting an Open day for Early Years children looking to enrol for September 2019. The event will be hosted on Tuesday 27th November 2018 between 10:00am till 11:00am. Tours available at 10:00am and 2:00pm.